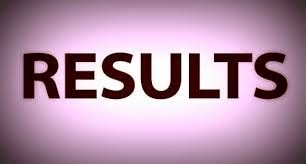 Kerala SSLC public exam result 2015 has been announced by Kerala board of Public examination in the official result website IT school website - results.itschool.gov.in. 10th students can check Kerala SSLC school wise result and without date of birth by entering the register number. The SSLC exam results announced today (April 20) in many websites like IT@school, keralapareekshabhavan.in, keralaresults.nic.in, result.kinindia.in. You can check the Kerala school sslc results 2015 below. Kerala board exam results for regular and private candidates is available now. To check Kerala SSLC result school wise you should know the Kerala school code. The complete list of school code can be got below. SSLC name wise result is not provided by the board. So don't waste time in searching for result search by name. The Kerala IT school results for SSLC exam is also made available through Android app which can be downloaded from Google play store. The name of the app is Saphalam. Go to the play store and type Saphalam. Install it and you can get your result from your mobile. You can also get the results through SMS for SSLC/THSLC/AHSLC. After the Kerala pareeksha bhavan sslc results has been announced, now the Kerala sslc toppers has been announced. The result with grace marks has been published. The result is in grade. the kerala sslc grade conversion calculator to convert grade to percentage is provided. If you want you can apply for revaluation or say exam. The Kerala sslc revaluation form can be got from the respective schools.